After starting the year with high hopes on the back of my chance appearance in Runners World, I soon had to rein in my running ambitions with another bout of tendonitis hitting the foot. It is an injury that has been lurking for a while and no doubt a consequence of mile upon mile of a Forrest Gump style head cleanse! The body has for a long time been the tool used to keep the mind sane, in turn the mind has motivated the body to keep active. The desire has always been there to keep moving, but the mechanics for mobility had started to misfire. Time for rethink and a different approach. I guess a triathlon is the staple ingredient of many a mid-life bucket list, and it was an early addition to the neverendinglist as I started penning the script for life; that was as far as I’d got until the opening of the birthday gifts and in particular an envelope containing within an entry to tackle a triathlon. From talk of trying out the triathlon I was suddenly a 40 year old staring down a 12 week countdown into the realms of the unknown. 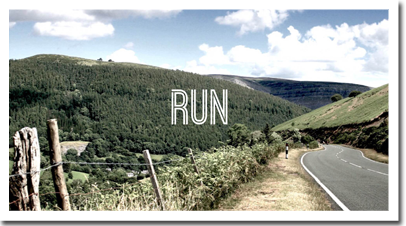 Since printing out a quickly researched training plan, I have developed a love hate relationship with the multi-disciplined skills and motivational mindset needed for a triathlon. As in everyday life there are areas of strengths and weakness. And perhaps it is the recognition of the weaknesses which enable us to become stronger. It’s easy to do the things that come easy, but to do the difficult without an initial desire takes a certain determination. 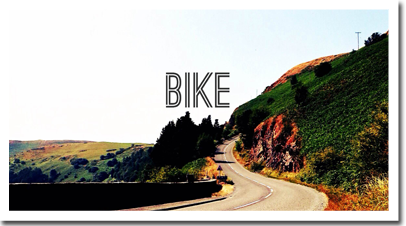 Running has always come with a simple stride and I had a base on the bike from which to build, but swimming was a real dive into the depths of the unknown. It quickly became apparent that the aquatic element was the area requiring some focus. Knowing however, that the good stuff happens outside the comfort zone, perseverance has become the term used on trips to the pool and more latterly the lake. 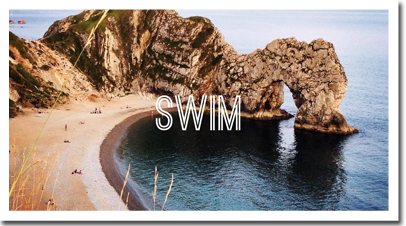 By pushing the boundaries I’ve been inspired by sea swims honing my stroke through the arch at Durdle Door and left wanting more. Now my slightly obsessive compulsive nature means I don’t always stop to consider what I’m getting myself into. Half way through training whilst clad in my wetsuit and about to jump into a murky marina, I was caught off guard by a son expressing in inquisitive tone “Dad why do you do it to yourself?”. I paused for a moment as it seemed like a fair question to direct at a neoprene clad 40 year old father, but the reason was already evident as I looked back into the eyes of my inquisitor. Through example I can best educate, as action not words demonstrate that a determined man is able to achieve what he believes. The implementation of the maxim “give me the boy til 7 and I’ll show you man”, has for their formative years been the focus of my fatherhood, as I endeavour to show that I am a man who can. A two word answer of “why not?” was offered for him to ponder and I launched myself into the sea with glee. So, the last 12 weeks has been a journey that has seen me swim the equivalent length of Loch Ness as I have battled with breathing, tamed the technique and faced up to my fears. 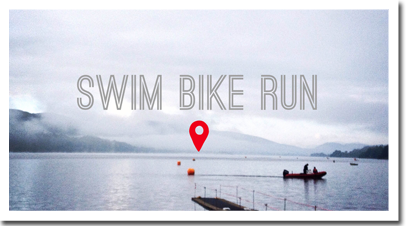 I can call myself an open water swimmer and after successfully battling through the Bala triathlon course, I am also a triathlete. Whilst I may not have won, or realistically competed, I completed the course and set another personal best. Project swim bike and run is done and it’s time to raise the bar. Maybe just maybe, it is time to see if there is an Ironman lurking within!